This is the final week of my homage to the Big Apple. I chose this month to do this as it was the ten-year anniversary of 9/11, while I was lucky enough to have seen and been in the Twin Towers and I do have pictures of them, those pictures are not on digital media. Rather than focus on the sadness of the past, I chose to use pictures from a recent trip that exemplify the beauty of a resilient city. 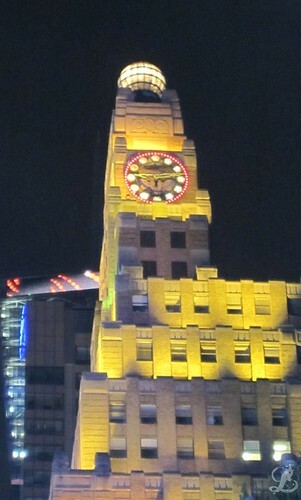 The pictures in the next post were taken from various places while I was out and about on the town. 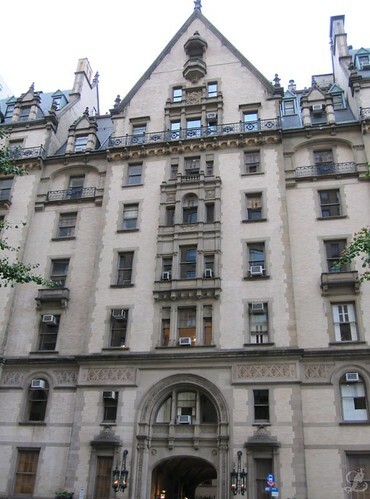 In a previous post I mentioned the Dakota, at 72nd Street and Central Park West, it was built in 1884 by Edward S. Clark; at the time he was teased that he was building so far north of the city that he might as well be building in the Dakotas. 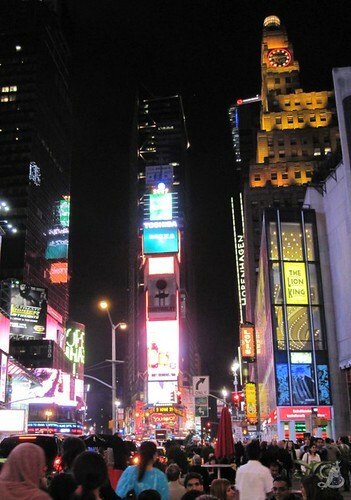 What trip to New York would be complete with out visiting Times Square? 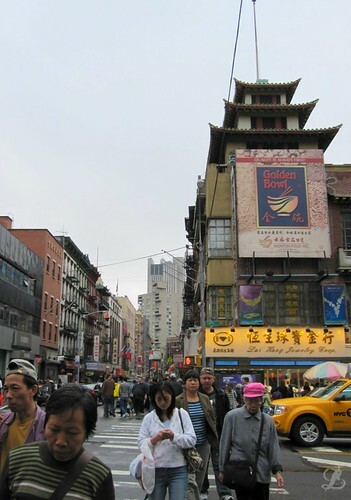 It is one of the most widely recognized places in the world probably because of the amount of neon used. Of course one book end would not be complete with out the other. 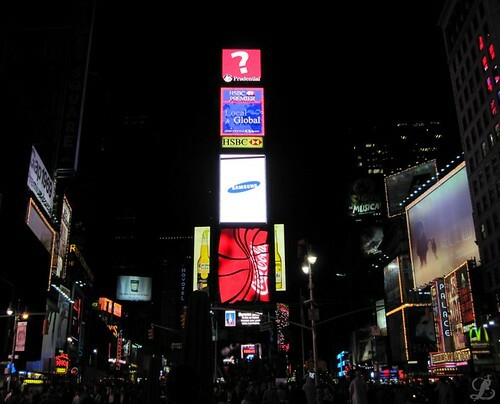 At 1 Times Square is the ball that most of the country watches drop on New Year’s Eve, it is maintained that the biggest New Years Eve party takes place in front of it. 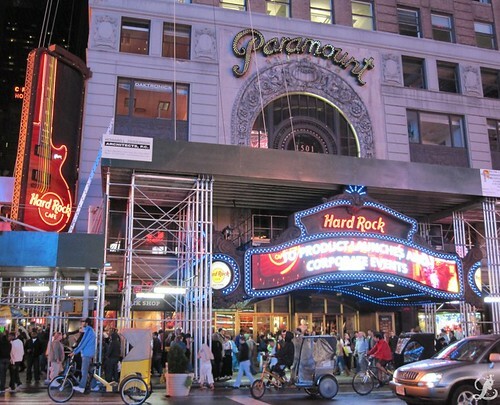 I am a huge Hard Rock Cafe fan, not for the food but for the memorabilia and the souvenirs; this has been moved from its previous location but I can think of no better place than here. 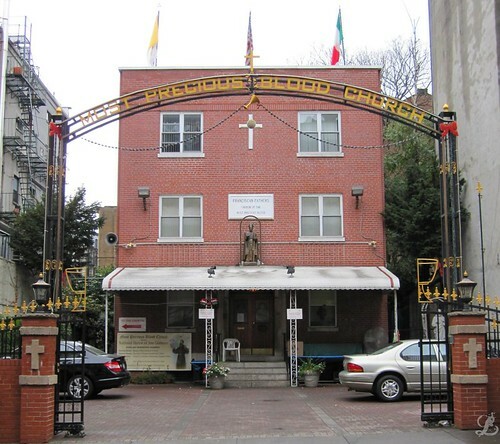 Next I made my way down to Little Italy, where I saw what was by far the most interesting name for a church ever. I give you The Most Precious Blood Church. I thought all the Vampires lived in New Orleans but I guess I was wrong. The architecture and decorations give you a taste of what old world New York looked like. 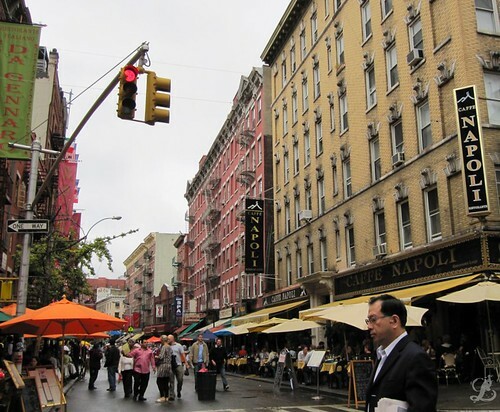 Little Italy is being encroached on by Chinatown, which is New York’s most famous ethnic enclave. 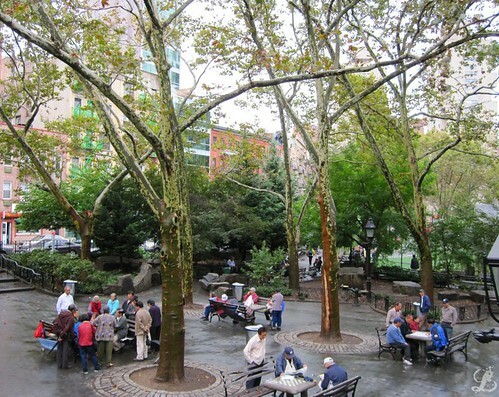 I made a stop at the world-famous Chinatown Ice Cream Factory and picked up some Litchi ice cream, from there I walked to this quaint park where I sat, enjoyed my ice cream and a peek into a normal Sunday afternoon for the residents of the area. 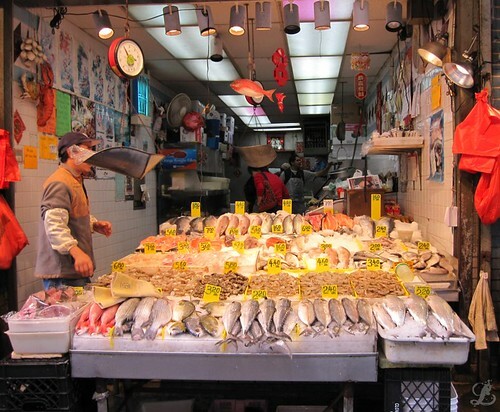 A walk through Chinatown in not complete with out passing a fish market, fresh fish anyone? 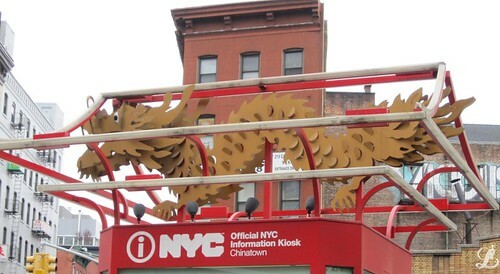 I love the Chinese Dragon that was atop the information center but I just have a thing for dragons. So I was drinking in this neighborhood bar called the 3 of Cups, marveling over the beauty of the bartender when I realized it was Fuse TV’s Mistress Juliya; talk about cool! I told her I was a long time fan of Uranium and the my favorite episode was the one where she interviewed Dimebag Darrell. I hope you enjoyed a glimpse in to various parts of the city, next time we visit my favorite bridge in the whole world; I wonder which one it is because in New York there is more than one, two or even three. This entry was posted on September 26, 2011 by LahainaLaura. It was filed under NYC, Simply Laura, Uncategorized .